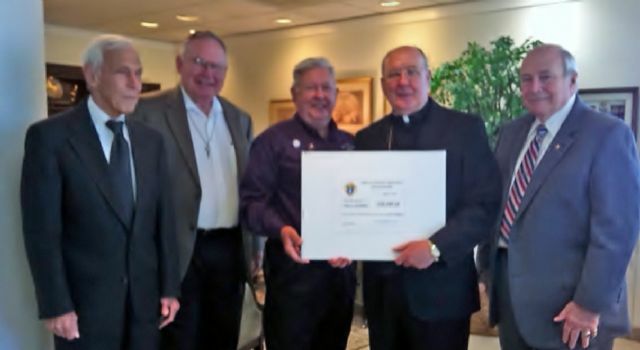 Through the generosity of the Knights of Columbus of the Dallas Diocese, a check for $56,849.24 was presented to Bishop Kevin Farrell to be used in the promotion of the Dallas Diocese’ selected ministry: Ministry to Persons with Disabilities and Caregivers, and to the Deaf. This amount represents 70% of the charity funds donated by the Councils within the Dallas Diocese. The remaining 30% is used by the Texas State Council to promote state-related charity works, including Special Olympics, educational grants, and specific requests.